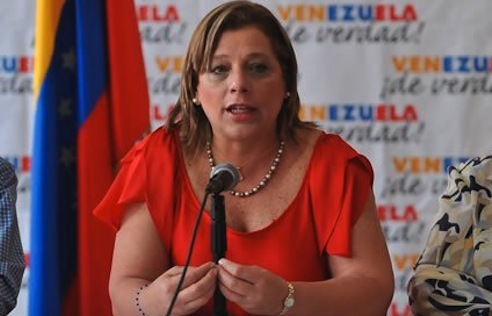 At the center of this case is an irregular purchase of medicines from Cuba made by former Health Minister Maria Eugenia Sader, formally charged for embezzlement. As Venezuela currently faces a major shortage of medicines (with, literally, deadly consequences), a related case of corruption involving the purchase of large amounts of medicine from Cuba moves ahead. The case was the reason behind a controversial, little known decision by the TSJ’s (Venezuela’s Supreme Tribunal of Justice) Administrative Chamber last week. A few years ago, the Health Ministry bought large amounts of medicines from Cuba. This caught the attention of the Comptroller General’s Office. In an internal report made public in 2011, they found that the Ministry got way more medicines than they required, and therefore many of those supplies simply expired without been used. Several NGOs requested more information from the Health Ministry, without getting any answer. So they went to the TSJ three times between 2012 and 2013 to try and force the Ministry to give them some form of response. Lack of access to public information in Venezuela has been on its deathbed for quite some time, but this decision covers its dozing head with a pillow. In the meantime, the case that started this whole issue has not been solved. As a matter of fact, it has continued at a healthy pace. Yeah, the person who was Minister at the time has been charged, but I won’t be surprised if she’s left off the hook or just given a symbolic slap on the wrist. Who knows what internal chavista/Cuban power plays are at work here? Speaking of the state’s efficiency, the TSJ made its ruling almost TWO YEARS after the original request.